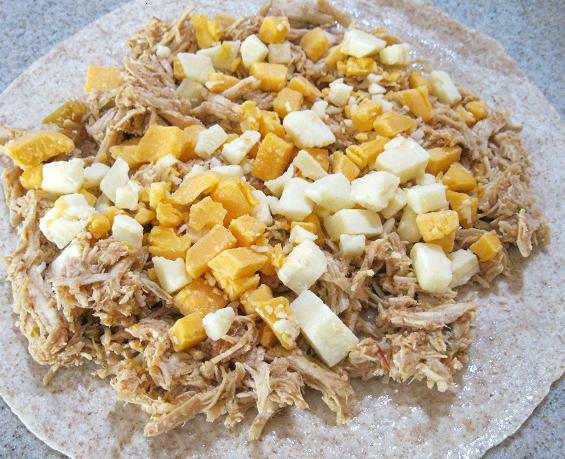 (1) Combine all of the ingredients (except the tortillas and cheese) in your Crock Pot. Give it a stir and and cook on low for 5-6 hours or until fully cooked and tender. (2) Remove the chicken from the slow cooker and drain it and shred it. (3) Place approx. 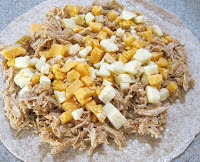 1/2 cup of meat and a 1/2 cup of cheese on a tortilla that has been pre-sprayed on the outside with non-stick cooking spray or any oil. (4) Top the bottom tortilla and meat and cheese with a second tortilla (also sprayed or oiled on the outside). (5) Bake in a Quesadilla Maker or in an oven or toaster oven at 400 degrees for 10-15 minutes or until it is toasted on the outside and the cheese is melted. (6) Cut the quesadilla into wedges and serve. (1) This meat can be frozen with the juice and used for OAMC (Once A Month Cooking). 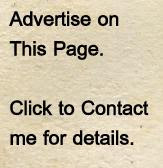 (2) This recipe is mild. If you prefer a spicy quesadilla meat, add hot sauce to the crock pot. This is the Crock Pot and Quesadilla Maker I have had for years and I recommend them. The Crock Pot cooks evenly and is so easy to clean. The Quesadilla Maker makes great crispy quesadilla. It is great for a crowd or party. You can put out all the fixins and let your guests decide what to make for themselves. I'm thinking chicken wraps too! Yummy! 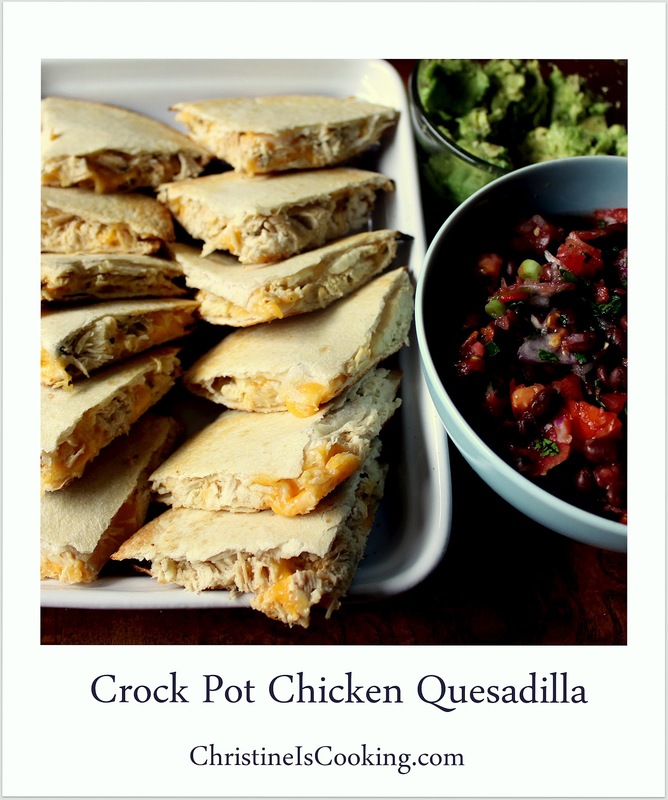 I love making salsa chicken and chicken seasoned with taco seasoning in the crockpot. Putting them together sounds great!